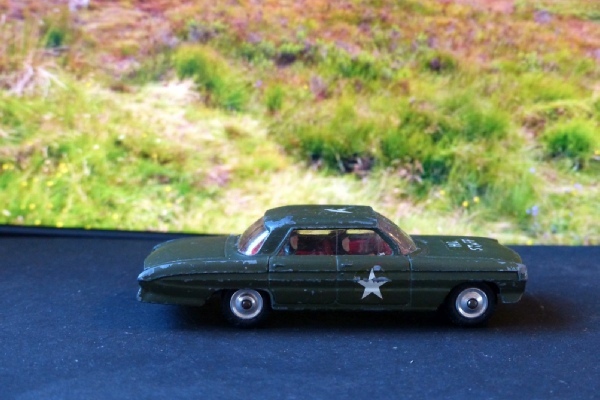 A rather tatty example of the otherwise lovely Oldsmobile US Army HQ Staff Car. This comes with its driver and three passengers and has good suspension and tyres and the body is sound with quite good paintwork. The front screen, however, is cracked and the transfers are getting worn. It is a good space filler if you need this and is inexpensive.